Good morning to everyone and have a good month! 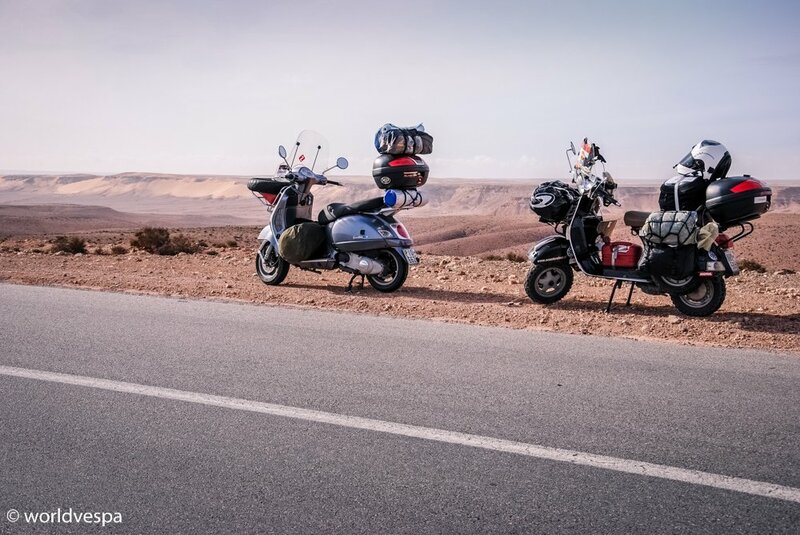 Do not expect much from us these days, especially after all those crazy things we did on the Atlas mountains and at the Sahara! Nothing can describe our days there! During the last week, we spent our time resting in a campsite in Marrakesh (a very nice campsite, indeed), diving into the swimming pool and having our moments of indulgence in the jacuzzi while we were trying to realize where we were! I don’t know about Thanos, but I feel that I have lost my ability to ride on my vespa for some hundreds of kilometers per day with no hesitating at all. I’m still searching for the reason…maybe it’s the hot sun and the straight roads and of course, not the fact that I do not exercise at all and I have gained around 15 kilos, as Thanos says! The plan was to travel 100kms per day but we never manage to do them. Every time I get off the vespa I don’t want to sit again, I prefer to stand as my bottom and my back have started to ache and I feel old and rusty! Let’s see what will happen when we will be obliged to cover a large distance through Mauritania until Senegal (don’t forget about he 30 days of our visas). 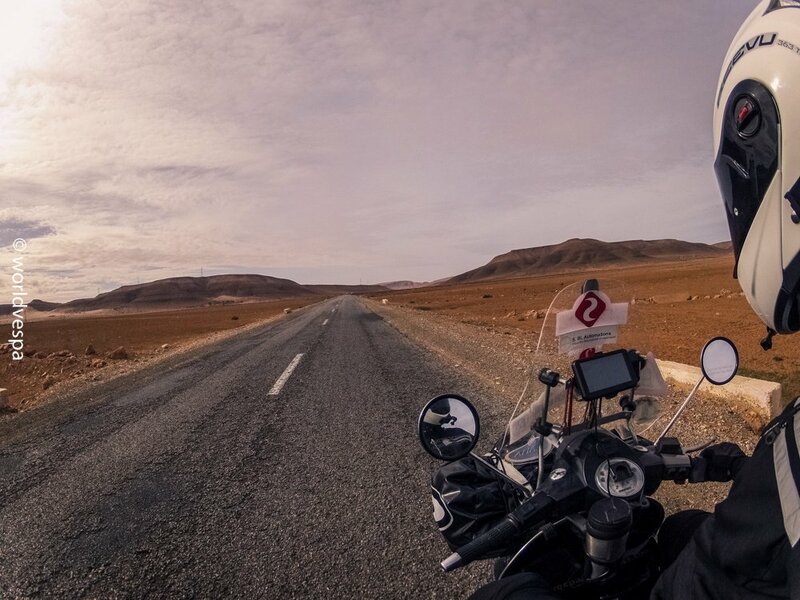 Even 1€ helps us stay on the road for longer and share more stories! 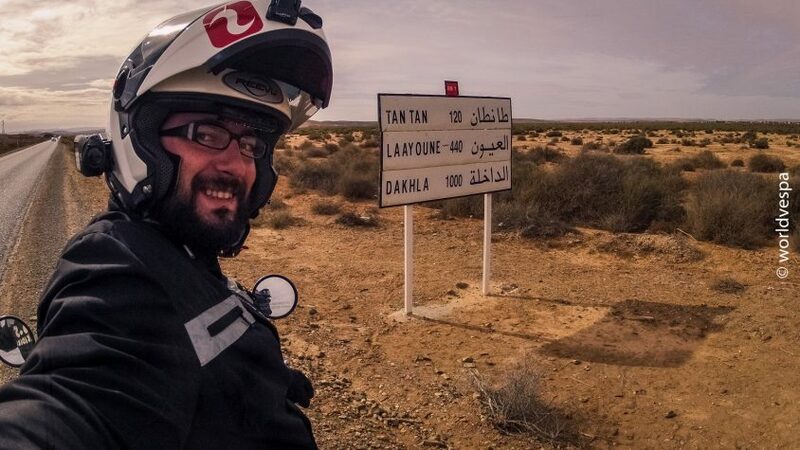 If you ever find yourselves in Western Sahara, have your “fiche”printed to get through all those police controls.Visas and border crossing are our main worries until now. Especially those in Senegal for which we haven’t heard the best of things. Don’t trust the “well informed” site of the Greek Ministry of Foreign Affairs and the things that are written on it! From the 1st of July, 2013, in order to get into the country you should have a visa. You should find online and fill out a form (snedai.sn), pay 52.5 euros and print the answer which will be sent to you by e-mail. The next step is to wait in a queue for ages, keep smiling and be extremely patient if you don’t intent to pay every single person who wants something from you (police officers, customs officers, officers, various crooks etc). 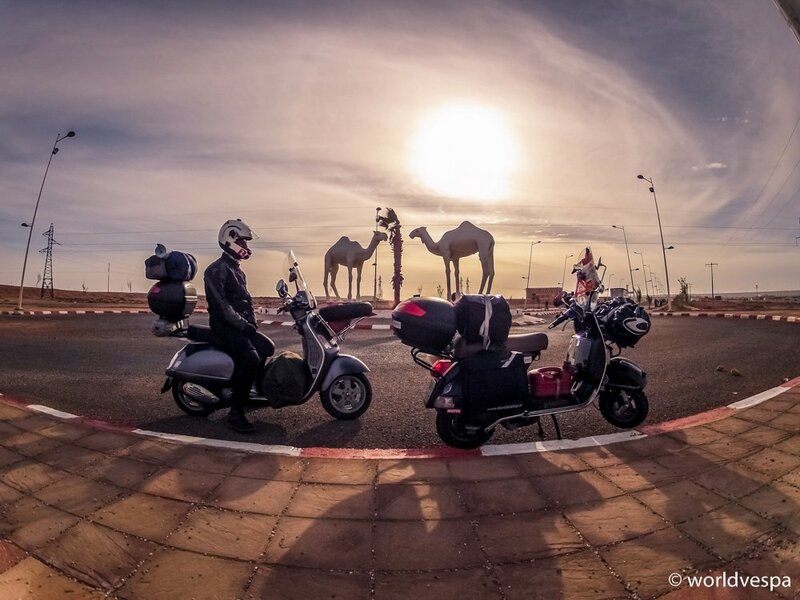 Many people regard crossing the borders in Senegal as the most important part to continue traveling in Africa! From one side, the good old me is hoping that this is going to happen…at last some adventure after all this time in the swimming pools and in the jacuzzi! From the other side, the brand new me is hopping in silence that nothing wrong is going to happen and we will continue our long-term holiday! And you, what are you thinking? Which side are you on? Six nights in a campsite in Marrakesh. Relaxing by the pool in order to rejuvenate and regain our energy! 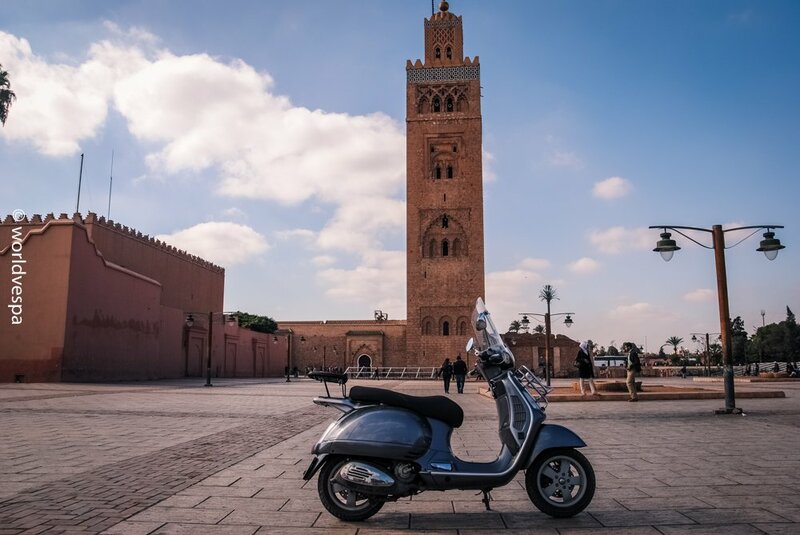 I sent Thanos to see and tell me how is Marrakesh. He told me that it “awakes” the senses! I managed to get to a supermarket and bought some grocery. 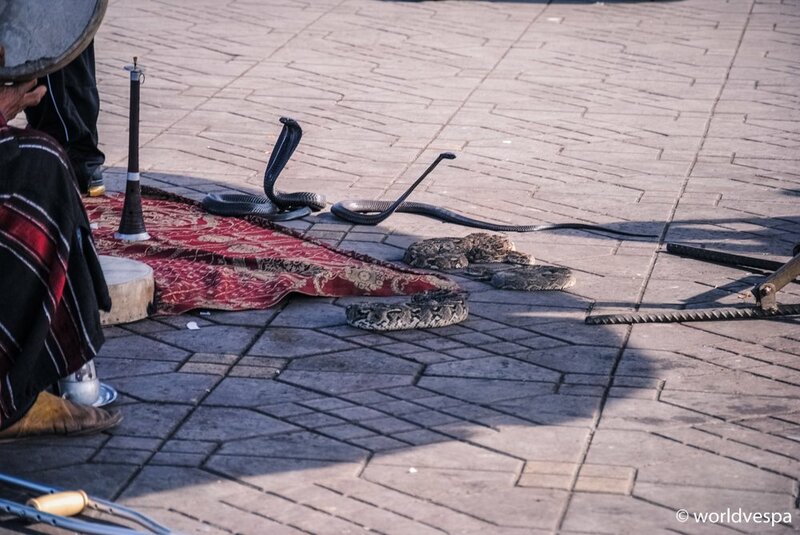 Thanos: A stroll at the Jemaa-el-fna square, the main square of Marrakesh, where he took some pictures of “dancing cobras” and he was asked to pay 10 euros – he just erased the photo and left. 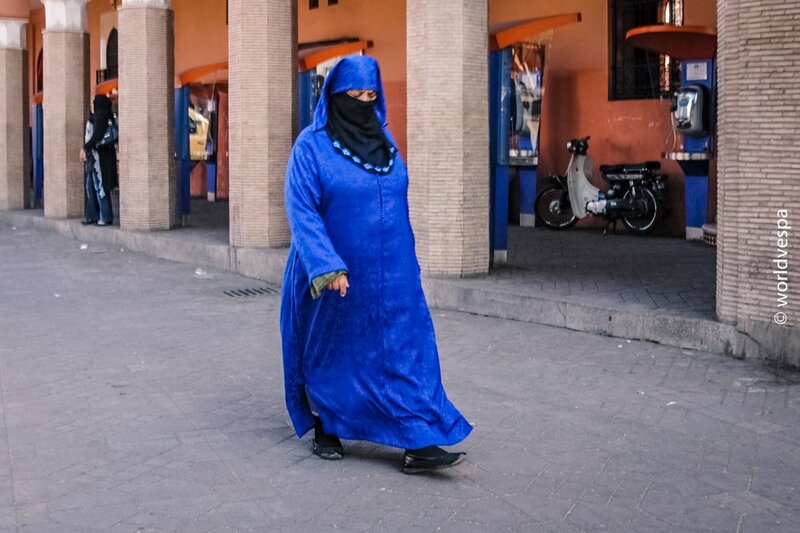 Finally I decided to follow Thanos for a walk in the center of Marrakesh, which I regretted as everyone in the street was trying to talk to us, invite us to their store or sell us something. They were also calling me “Ali-Baba” for no reason! Slept for one night in Agadir listening to the sound of the waves of the Atlantic ocean. 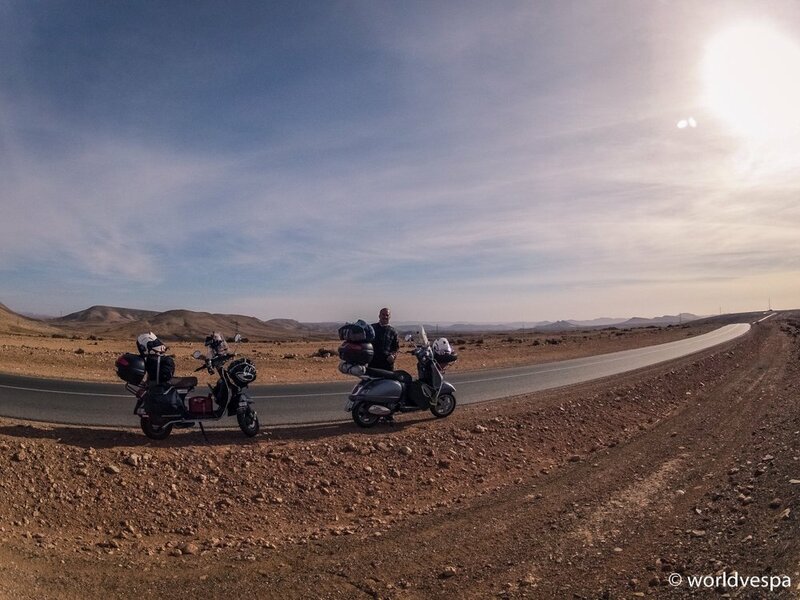 As we were approaching to Western Sahara the police stopped us all the time. Thanos, my friend, please fill out those “fiches”! Two nights’ rest outside Tan Tan. 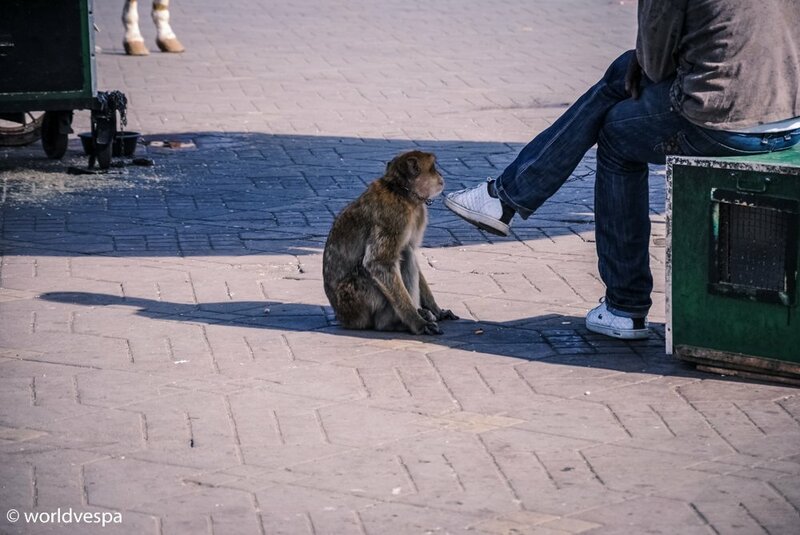 PS: Yesterday, when we contacted Grigoris Anastasiadis from Radio Thessaloniki 94.5, tired as we were, with a slight jet-lag, we referred only to Angela Merkel as the cause of all evil in Greece, which led us to leave our country and start this journey. Unfortunately, we forgot to tell anything about us Greeks and all the mistakes done by us (not only by the politicians), which was the main cause for my escape! 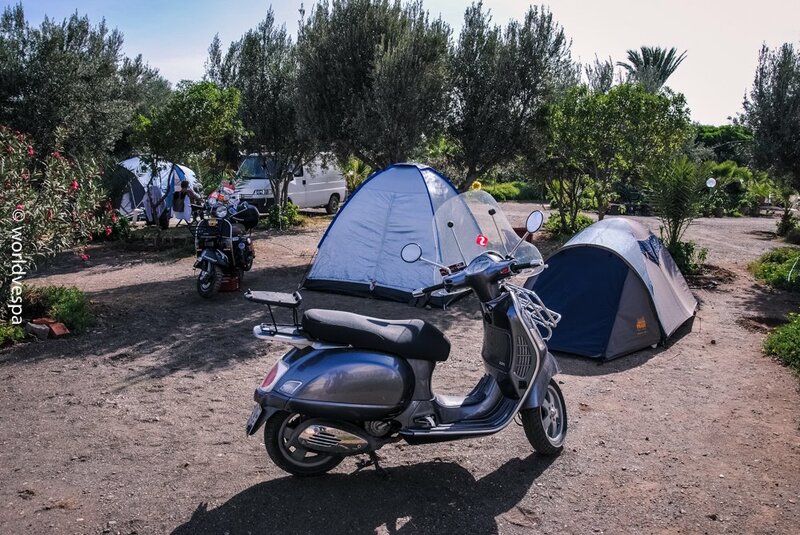 We (Stergios & Alexandra) are traveling around the world 2-up on a Vespa scooter. For 2.5 years we were in Africa & South America and we're still rolling. 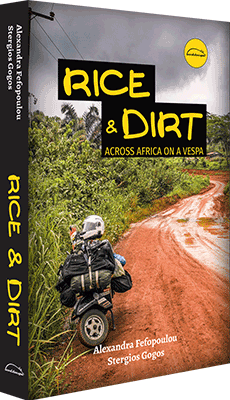 Our book "Rice and Dirt" is now available. Bravo! Congratulations for your courageous travel. Στέργιο βάλε κ κάνα καινούργιο βιντεάκι(μην ξεχνιόμαστε) !!!!!! Καλή συνέχεια φιλαράκια, δεν μασατε με τσαμπουκα λέμε… Αυτά τα fiche τι ακριβώς είναι ρε παιδιά..
Στέργιο (αν μου επιτρέπεις τον ενικό :D) ανέβαζε περισσότερα βιντεάκια “please”,με αυτόν τον τρόπο είναι σαν να ταξιδεύουμε όλοι παρέα,διαφορετικά νιώθω σαν να διαβάζω τον γύρο του κόσμου σε 80 ημέρες(για 6η-7 φορά :D).Επίσης έχω μια φοβερή ιδέα(δεν γνωρίζω πόσο υλοποιήσιμη είναι,αλλά σου έστειλα ένα μήνυμα στο FB με όλα τα σχετικά. Γι’ αυτό σας τα ‘στειλα τα fiche ρε μάγκες! Ετοιμάστε και για τη Μαυριτανία καμιά τριανταριά, γιατί κι εκεί η ίδια κατάσταση είναι. We’ ve got some news! 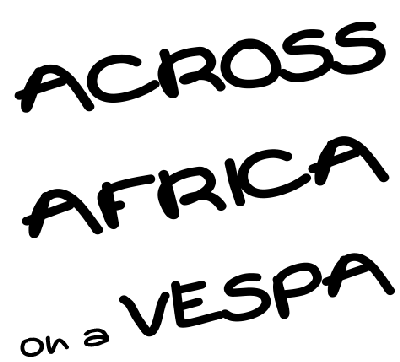 © 2008 - 2019 WORLDVESPA. ALL RIGHTS RESERVED.